The Baby Products Association – the UK’s trade organisation representing manufacturers and suppliers of baby and nursery products – is calling for entries to its 2018 Concept & Innovation Awards which are open to both companies and individuals with exciting new maternity, baby, nursery and antenatal product ideas. The Concept Award is for product ideas which are still in their early visionary stage. This might just be a drawing and product description; whilst the Innovation Award is for products ideas further advanced to prototype stage. 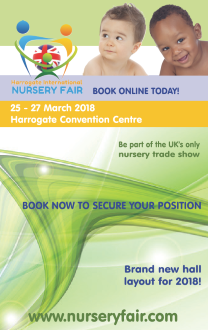 Product ideas entered must not be available for sale prior to Harrogate International Nursery Fair at the end of March 2018. Concept Award finalists last year were Charlotte Lonngren with ‘The Baby Band’ – a simplistic wrist-band which mums wear to keep track of babies’ feed and sleep times without smart phone technology distractions; and Lisa Walford with the Sleep Safe Seat – a baby car seat that can be reclined at the touch of a button. Innovation Awards finalists were Lucy Bostock with ‘Adventure Belt’ – a handsfree restraint for older pre-school children which is now in the market place; and Deborah Sher and Gemma White with ‘SleepKeepers’ – magnetic accessories to keep a child’s duvet in place at night. Entry to the 2018 awards are free, so if you have an exciting new product idea, download the Concept & Innovation Entry Form from the Baby Products Association’s website at www.thebpa.eu and return this no later than 4th January 2018. Judges will shortlist all entries and these individuals will be invited to present their product ideas to a panel in central London at the end of January. 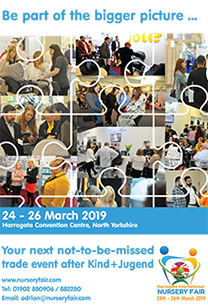 Four finalists will be chosen and these will be invited to present their entries to the nursery industry at Harrogate International Nursery Fair where the winners will be announced.